【一批珍奇螵蛸】 - 珍奇特區 - 台灣螳螂研究院 - Powered by Discuz! 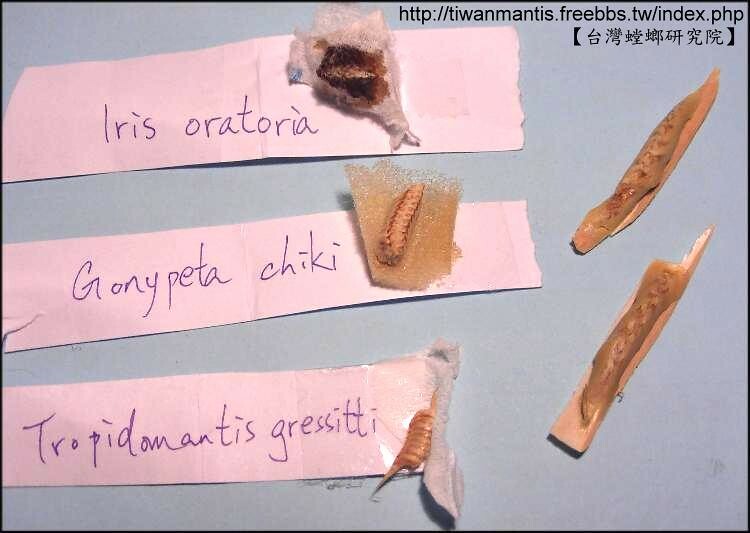 圖另外兩個好像是 Ghost mantis ootheca ?? 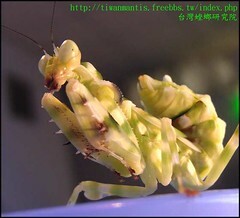 英文是 Garden Mantis 或者是 Australian Green Mantis. 也就是說 L1-L3 形態和一般斧螳相似, 但不用失望! L4以後至成蟲就非常有特色! !